Hunters spend big bucks on their passion. Seriously, big bucks. According to the National Shooting Sports Foundation, hunting’s economic impact surpasses Google’s revenue ($38.3 billion dollars in 2011, compared to $37.9 billion) and supports more than 680,000 jobs. Hunting-dog owners are a big piece of that economic impact. Well-bred field dogs average in the realm of $500 to $1,000, and this upfront cost is the least of your worries when it comes to caring for a dog. The AKC estimates that more than $2,000 is spent on one-time expenditures (crate, bowls, etc.) and that on average their members spend approximately $2,500 per year, per dog. At first glance, that might seem extraordinarily high, but for hunters and competitors, it’s probably on the low side. Professional trainers worth their salt average $550 to $650 per month. If you choose to use a pro trainer, you’re looking at a minimum of three months of board and training. Not a whole lot can be conditioned in and built upon in less than that time, unless you’re just going for a preseason tune-up or obedience training. In three to six months of training, you’re already knocking on or surpassing that $2,500 benchmark. If you choose to play the hunt-test or field-trial game, you’re looking at much more being spent. Entry fees, travel expenses (gas, hotels and meals for multiple nights) and handling fees (if you have a pro do it) add up quick. 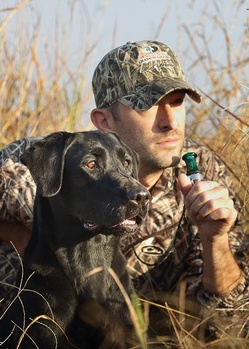 Just putting an advanced hunt-test title on your dog can, conservatively, cost you more than $1,000 in no time. When hunting season rolls around, dog men (and women) hit the road with their pups in pursuit of small and large game, as well as birds. Just like with competition, expenses associated with hunting include the cost of gasoline, hotels (which often charge extra for pets) and meals – and don’t forget the actual costs associated with the hunt itself. License, tag and stamp fees, as well as ammunition are yearly costs no matter where you live, or if you travel out of state (which will cost you more). Public-land hunts are the affordable way to go when it comes to location, but if you own or lease property (or hire a guide) you’ll have all those associated costs, too. Not to mention the other necessities – proper clothing and gear. For waterfowl hunters, that can include hundreds of dollars in decoys – or thousands upon thousands of dollars if a boat and motor are used. As a hunter, when you think about the TENS OF THOUSANDS of dollars you will spend on your sport, your passion, doesn’t it make sense to do everything possible to protect and control the health-care costs associated with your canine hunting partner? When paying for a new puppy, it should come from parents that were screened for known genetic mutations and that are certified with a Canine Genetic Health Certificate – that way you know that the breeder has done their due diligence and that the guarantee they offer is based upon scientific data and isn’t just lip service. The additional knowledge of buying a puppy that has been screened, or comes from screened parents, also offers a peace of mind that your hunting partner isn’t going to contract the known genetic disease later in life - that a late-onset disease such as degenerative myelopathy won't strike your dog after years of training and hunting; robbing you of many continued productive years and the return on that investment. The results of genetic screening can also be used as a diagnostic baseline by your veterinarian for treating other issues later in life – something that can save you time and money in the future. In the big picture of the TENS OF THOUSANDS of dollars you’ll spend on hunting, paying for a panel test on your Labrador retriever, golden retriever, beagle or other hunting dog is a small price to pay to help ensure sound genetic health. Puppy Guarantees: Worth the Paper They’re Written On?